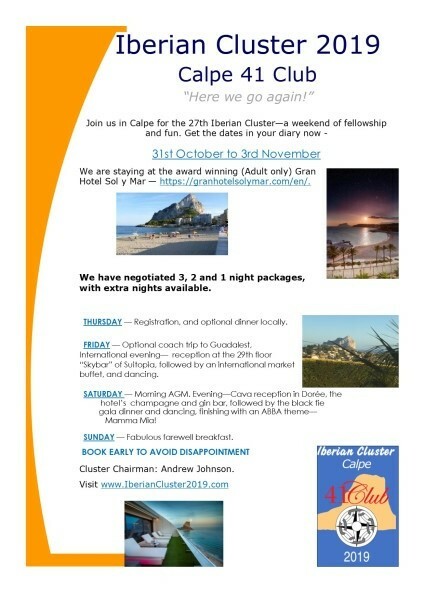 As we approach the end of the year, bookings are coming in well for the Cluster in Calpe next autumn (October 31st to November 3rd). Iberian clubs have just 2 more weeks to guarantee their bookings before the booking system is opened to members from elsewhere. We know of many people waiting for that date. Early booking is recommended to be sure of your attendance. We in Calpe wish you a wonderful Christmas, and a fabulous New Cluster Year in 2019.